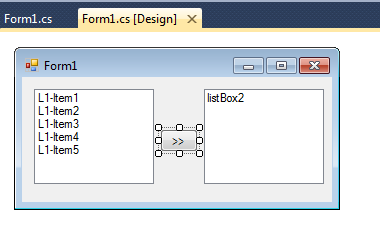 This article will show you how to move all items from one listbox to another in c#. Her I have shown to move all item of one listbox to other in one click. Some of my previous articles are as follows: Read Outlook Email Subject Using c#, Read Outlook Inbox Mail And Email Count Of Inbox Using C#.Net, How To Read XML File In DataSet And Display in DataGridview Using C#.Net, WebBrowser Control in C#, Windows Application, Change Control Font Size At Runtime / Dynamically Using C#.Net and VB.Net In Windows Application, Export GridView Data To Excel Sheet Using C#.Net In Windows Application, Windows Application In C#.Net (My first video article on youtube.com). So for this article first we will create a new c# application and add the listbox controls in it. 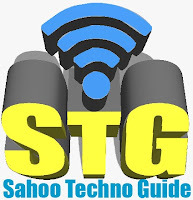 Now on button click add the below code.